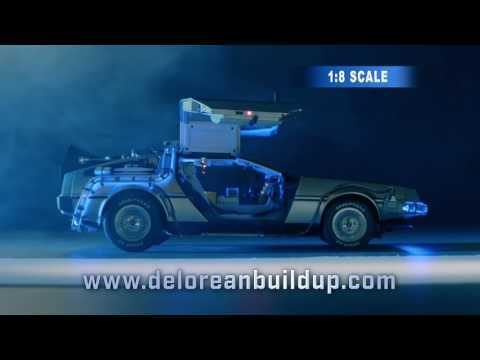 This 1:8 scale die-cast model is a highly detailed replica of the Back to the Future DeLorean. It builds up week-by-week and is over 20" LONG, with metal body panels and a wealth of working lights. Making it is very straightforward and all the parts simply click or screw into place. 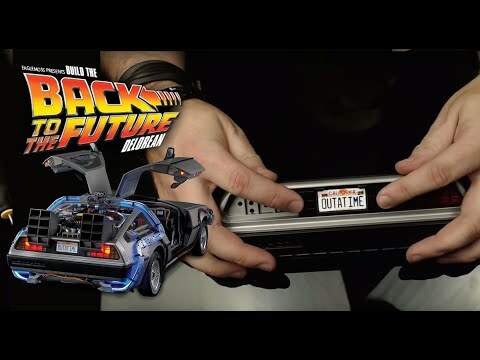 A perfectly designed and embossed tin-plate replica of the iconic OUTATIME license plate, perfect to display at home or in your car! With each set of parts you will receive a highly illustrated, full-color magazine with detailed assembly instructions and fascinating behind the scenes facts about both the car and the movie. 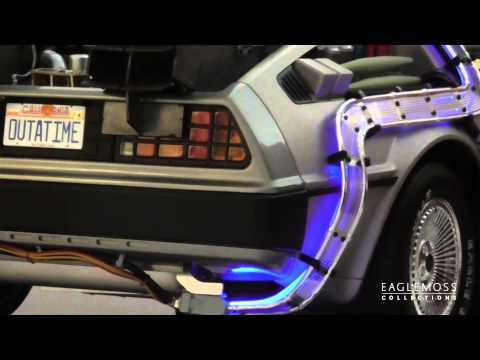 Join the vast community of Eaglemoss DeLorean fans and watch others build their time machine through instructional videos. The wheels can be tilted to create the version of the car that flies in Back to the Future II. 2018 © Universal Studios and U-Drive Joint Venture. Back to the Future, Back to the Future Part II, and Back to the Future Part III are trademarks and copyright of Universal Studios and U-Drive Joint Venture. Licensed by Universal Studios Licensing LLC. All rights reserved.